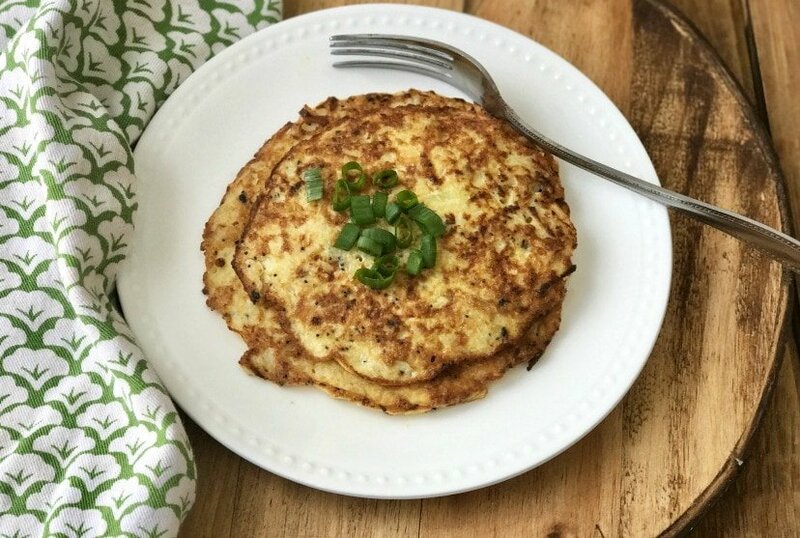 These Low Carb Cauliflower Hash Browns are my new favorite breakfast! 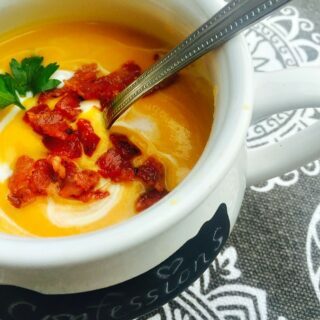 Quick, easy, and oh-so-yummy! 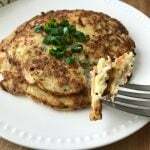 Perfect with some eggs or turkey bacon! 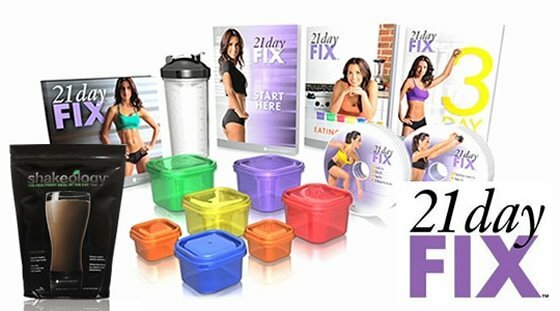 Confession #143- One way the 80 Day Obsession has been good for me is I am back to eating a full and complete breakfast in the morning. It’s these damn 60 minute workouts…they are impossible to do at any other time of the day besides the morning, and even if I am not following timed nutrition perfectly, I am STARVING at the end of each sweat sesh. I have been known before to drink a million cups of coffee all morning long and then, sometime close to lunch, realize I still hadn’t eaten yet. Awesome for a nearly 40 year old metabolism, right? 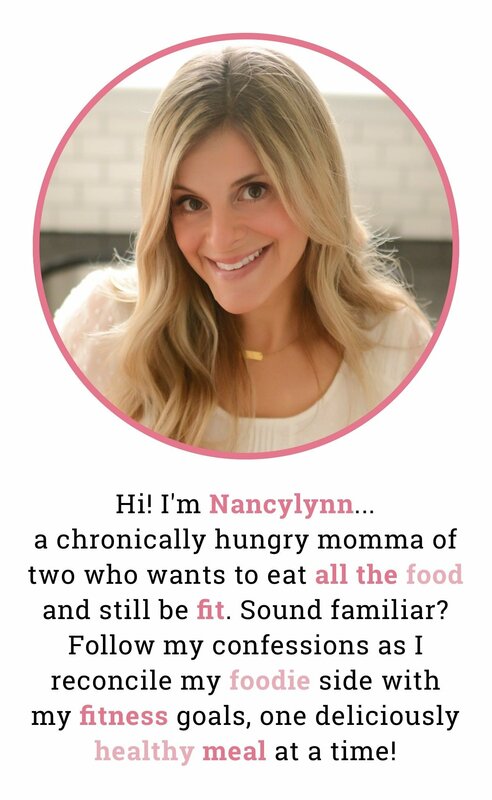 But not now…I have been eating all the delicious foods and loving every second. 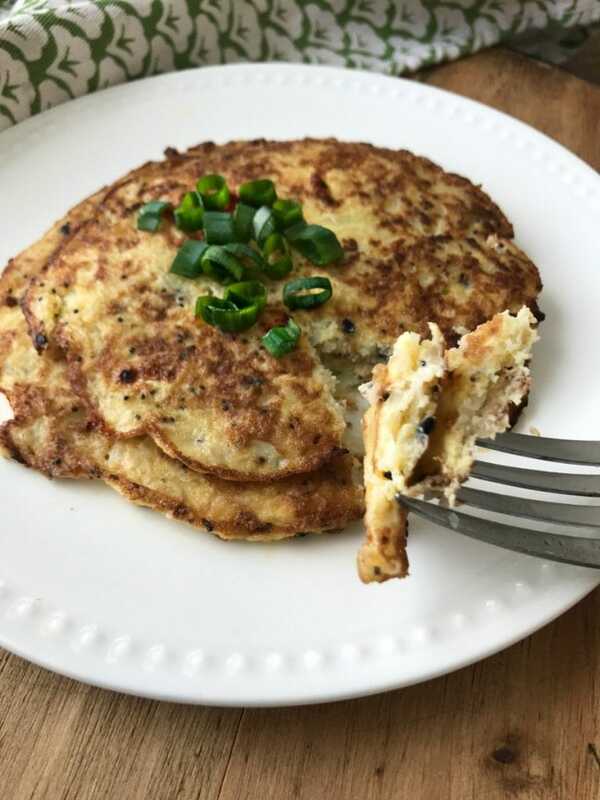 And these Low Carb Cauliflower Hash Browns are a new favorite. So darn good and only three ingredients. 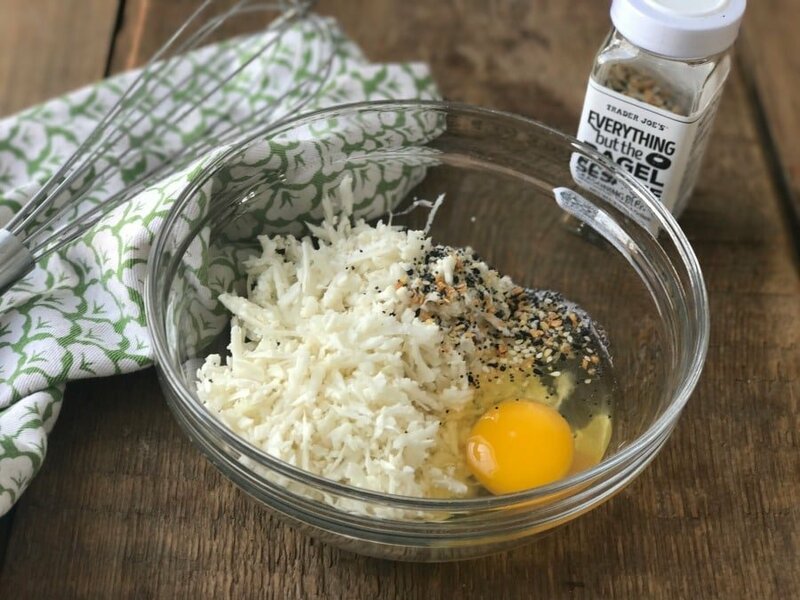 Have you bought or made the Trader Joe’s Everything Bagel Seasoning yet? Guys – this is just one of the million ways I use it every day…to find out more ways, check out this post! Anyway, for this, just mix 1 cup of cauliflower rice, 1 egg, and some of the Everything Bagel Seasoning (or seasoning of your choice) and mix it up. Spray a pan with cooking oil spray and melt a 1/2 tsp of butter. Scoop half the batter onto the pan and cook over medium heat for a few minutes or until the edges start to brown. I kind of flatten It while cooking to help it form a hash brown patty of sorts. And it does pretty easily. 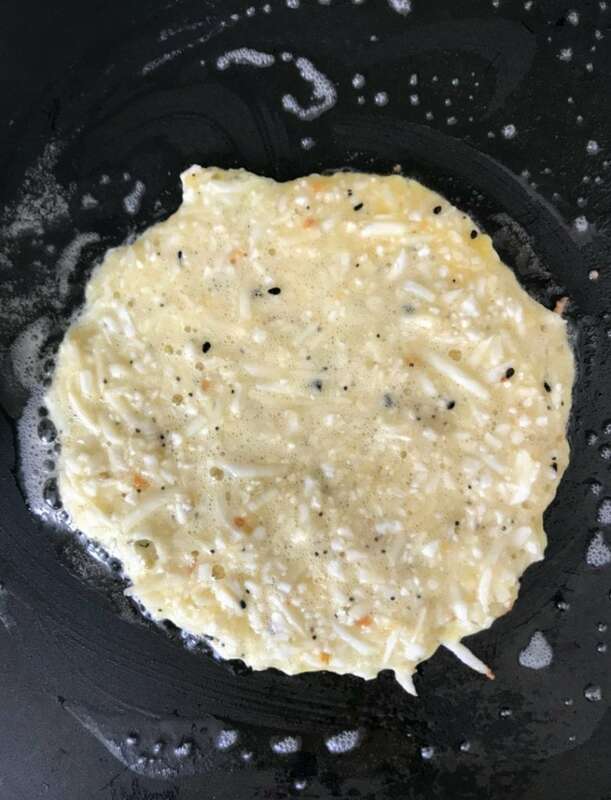 After the first one is finished, cook up a second hash brown using the remaining ingredients, following the same technique. And that’s literally it! 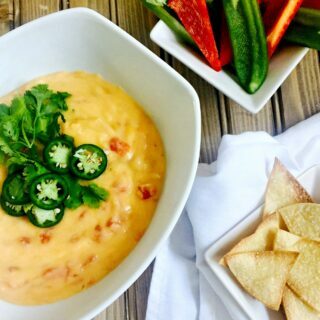 This makes one serving, so you can eat the entire recipe yourself…or double/triple to share or make for the week. I love serving it with eggs or breakfast meat…and a side of oatmeal muffins and fruit. 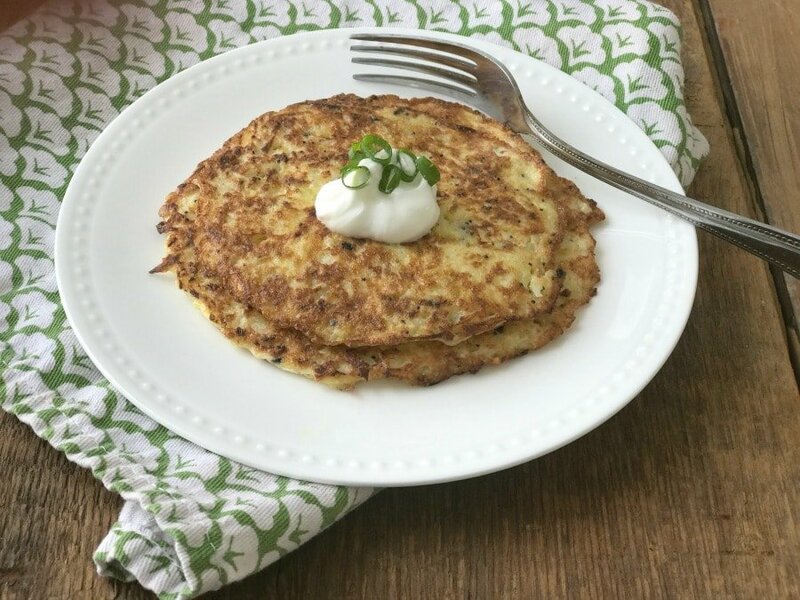 Sometimes I even serve it up with a dollop of plain Greek yogurt, so it ends up having a potato pancake kind of feel. Mix cauliflower rice with 1 egg and 1/2 tsp everything but the bagel seasoning. Spray a pan with nonstick cooking spray and melt 1/2 tsp of butter over medium heat. 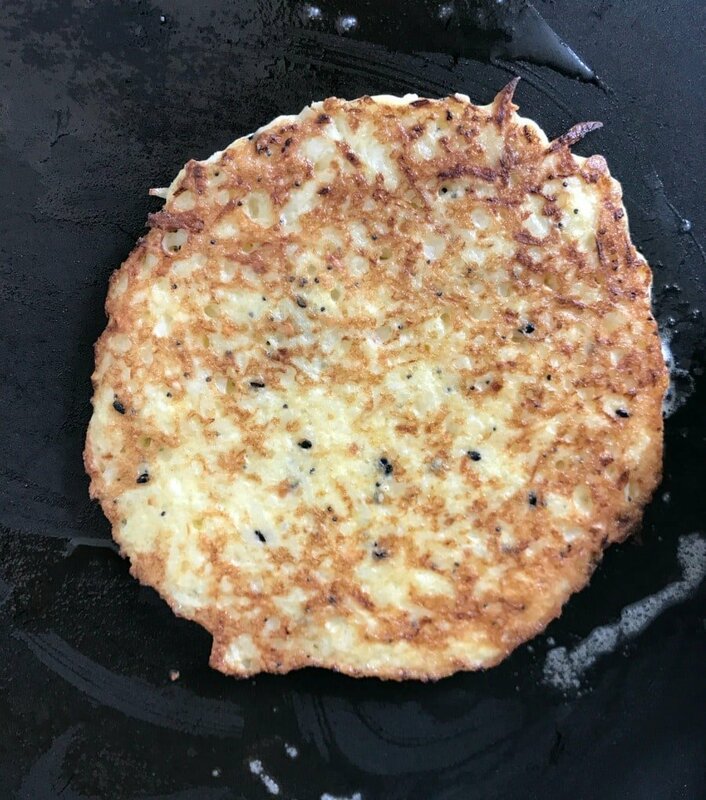 Scoop half the cauliflower rice mixture into the pan and cook 3-5 minutes or until the edges get golden, flattening with a spatula as needed to keep the pancake type shape. Repeat with the remaining cauliflower mixture. 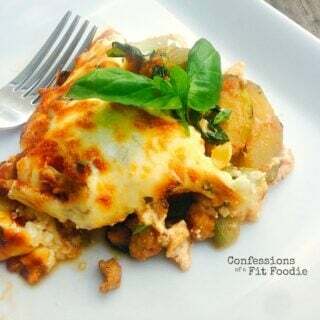 Serve with an egg or breakfast meat or top with some plain Greek yogurt. Entire recipe makes 1 Green, 1/2 Red, and 1 tsp. Have you used this with frozen cauliflower rice? So stupid question probably…cook it from frozen first? Or just use frozen and it’ll warm enough? 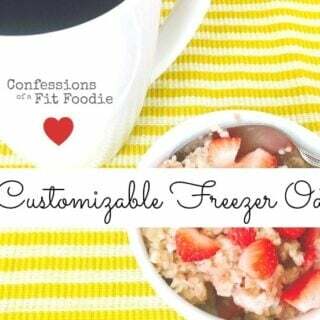 You can use it frozen or thawed! OMG these are so good. I made with over easy egg on top. It felt like a lot of food. Hard to believe it was less than 200 calories. Grand slam, Nancylynn! Right? It’s SO filling!! I am so happy to hear :). How long do these last in the fridge? Any reheating instructions? Also, can you freeze them? These will keep for a few days in the fridge! I think they would freeze well, but I haven’t tried. I think the microwave or heating quick in a pan would work perfectly! Did you cook the cauliflower rice first? If so, what’s your preferred method? Nope! I have used it raw and even frozen :). This makes me so happy, Michelle! Thanks for letting me know! Yum! Can’t wait to try! I have a frozen bag of riced broccoli/cauliflower. Think that would work? How did you get your cauliflower rice to take the shape of shredded cheese? Whenever I make it in my food processor, it looks much finer. Thanks! Hi! Do you use the shredding tool? That’s what I use for mine!